Children's animated sequel about the adventures of a polar bear named Norm (voice of Andrew Toth). 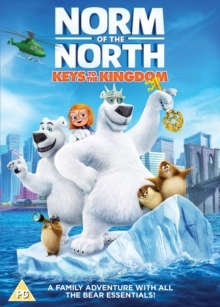 When he is invited to New York to receive the keys to the city, Norm, the new King of the Arctic, is framed for a series of robberies and forced to go on the run to prove his innocence. Meanwhile, a water company is up to no good back home in the Arctic. Can Norm and his friends clear his name and save their home before it's too late?